Ocean Pride Seafood Specials 9.26-10.2 | Ocean Pride Seafood of Ventura, Ca. Fresh Seafood Market in Ventura, Ca. 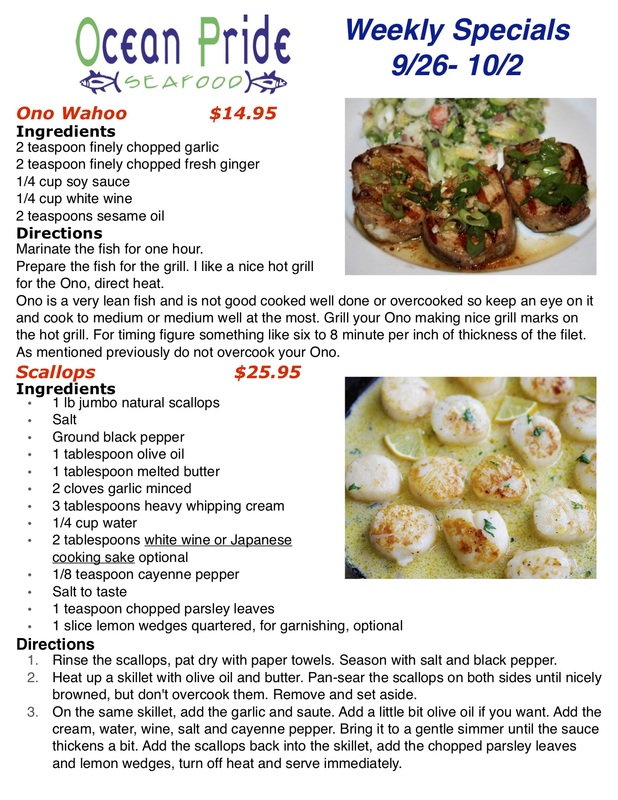 Ocean Pride Blog & Weekly Seafood Specials!